How I draw a selfie. Call me a nerd if you must but I loved doing homework. 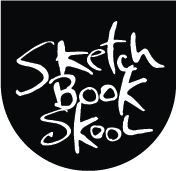 In this video, I do my assignment for Week Two in Seeing, a Sketchbook Skool klass on drawing self-portraits, taught by my partner, Koosje Koene. It’s not too late to join Seeing! Click here to learn more. Next Post Writing is a dirty business. Really great Danny – you’ve re-inspired me to have another attempt at a ‘selfie’. apparently i is too late to join seeing: the link goes only to exploring…? Like this Danny a great example. Don’t wait till you’re 76. It won’t get easier. Always interesting watching how others draw! Hi Danny the selfie came out really good I may try to do a selfie. Thanks for sharing. Hi Danny, did you use a mirror or a camera ? I’m loving the lumberjack shirts Danny. Very evocative of your NY weather just now. 🙂 Great shots of the snow outside the other day. An amazing demo and you have inspired me to try to do some selfie sketches.